I always enjoy reading about the McAntics, since their lives so parallel my own. Learning how to navigate days when a person is no longer punching a time clock or waking up to an alarm can be trying and confusing, but Charli’s outlook on life always gets her through the tough times with a sense of humor. “Press on,” she tells herself, and she does. 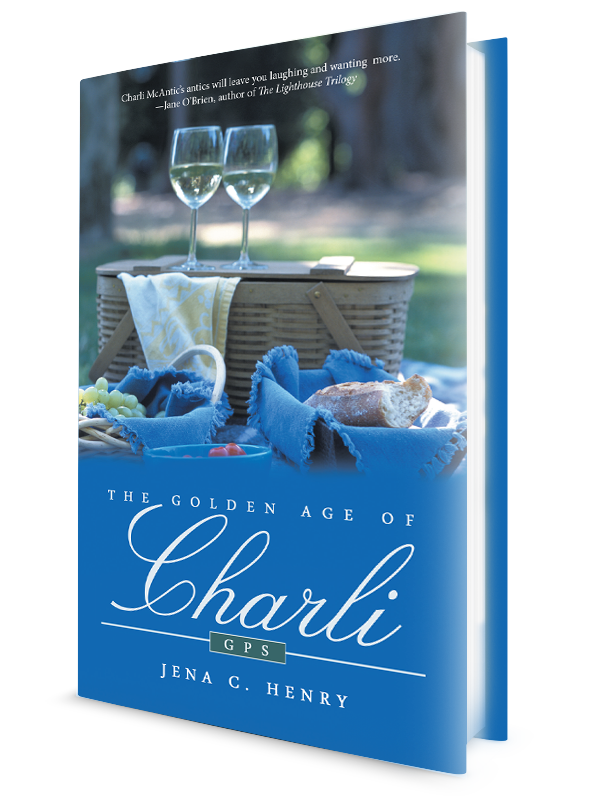 In the third book in The Golden Age of Charli series, when an unusual and shocking event happens in her neighborhood, Charli mentions that “bad things comes in threes,” and she begins to worry what will come next. I laughed out loud when Charli decided to make a “death notebook,” being guilty of something similar myself. “Pud and I needed to get our affairs in order. As the past three sad events had showed us, you never knew when something bad would happen.” It’s not that Charli is a pessimist, in fact, she is quite the optimist, but she wants to make sure her life is in order so her sons don’t have to go through what she had to when she deatl with her parents’ home and documents. With free time that was never before available, Charli cleans closets, and organizes drawers and cupboards. All the while her husband Pud continues to play golf, seemingly unaware of his wife’s dissatisfaction with her empty, quiet house. Wondering what is in store for her she comes to this conclusion: “This is my looking year, so I’ll keep looking.” As she searches for something to keep her interested in life and make sure she is still a contributing member of society, she encourages her husband to join her, and through traveling and volunteering she forges ahead, and proves that life is not over after retirement, but only just beginning. Charli proves to us all that the golden years can truly be golden. 2 Responses to 5 STARS for Charli! You deserve it, Jena! Congrats on a wonderful review and best wishes for a fabulous weekend. You’re off to a good start. Thanks for the kind words- it means so much-as I am sure you know! We finally have sun and No Snow this weekend-and it’s almost happy hour! Thanks for your support- fun to have a friend on the writing journey!